1-Records and Stars of 1983-84. 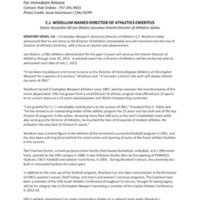 2.3 R Memo to advisors for the Academic Support Program in the Department of Athletics. 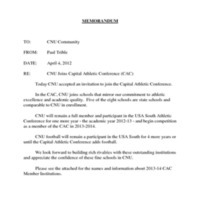 Email announcing a small celebration to honor Coach C.J. 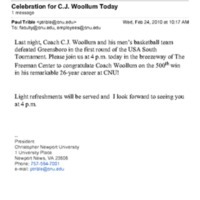 Woollum for his 500th win. 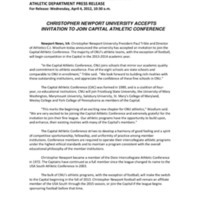 Memo announcing that CNU has accepted an invitation to join the Capital Athletic Conference.